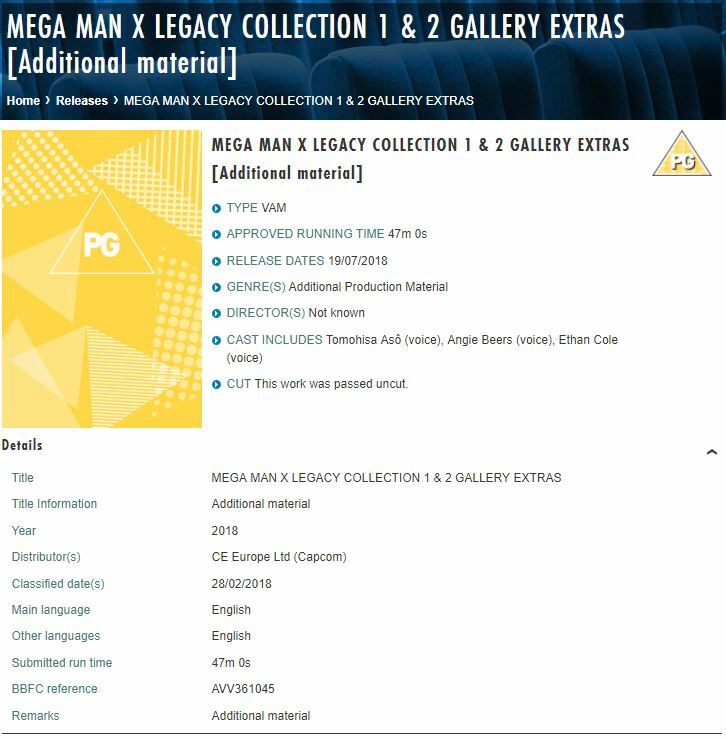 Thanks to the British Board of Film Classification we have a detailed look at the extras coming to us on the Mega Man X Legacy Collection… here’s all the details from their site below. 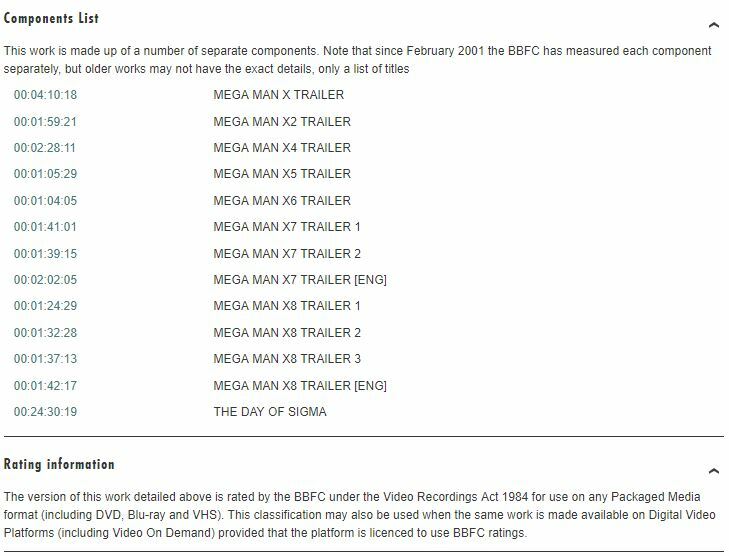 As you can see the Day of Sigma OVA is listed at the end as well as all of the trailers for the games. For those of you not sure what The Day of Sigma is… it was a short anime film included in the Maverick Hunter X PSP game. If you want to watch it now, I’ve embed the video as well below. 🙂 Enjoy!